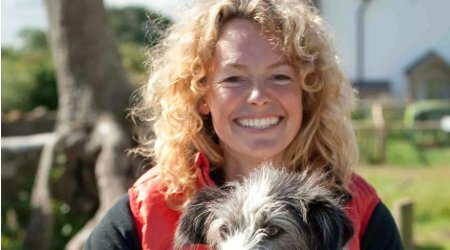 Kate Humble, tireless champion of all things hoofed, furred and feathered, is best-known for her enthusiastic dispatches from the wild, via the ever-popular Springwatch and Autumnwatch series. However, Kate has many other strings to her bow – president of the RSPB, qualified commercial diver, and now, farmer as well. When she and her husband heard that yet another small farm in the beautiful Wye Valley was to be sold off, they set out to rescue it from oblivion; two years on, it’s a thriving smallholding, where they run courses in rural skills and animal husbandry. Kate’s new book, Humble by Nature, tells the story of their venture, with all its joys and perils. Come and be dazzled by Kate’s enterprise and verve, and join the debate about how we can sustain our homegrown agriculture.